Wade Park, the 175-acre mixed-use development at Dallas North Tollway and Lebanon Road in Frisco, will get two entertainment options — and one is making its Lone Star debut. An iPic Theater will satisfy moviegoers, while new-to-Texas Pinstripes will bring bowling, bocce and Italian-American cuisine. Wade Park broke ground in early August. Anchored by a Whole Foods Market, it will include retail, restaurants, hotels, office space and residential housing. The iPic Theater — which also has an outpost in Fairview, one of our picks for best dine-in movie theaters — will have two luxury seating options. Those who choose "premium" get large leather seats and the opportunity to purchase "chef-driven gourmet food" and beverages from iPic's in-theater dining concept, Tanzy Express, which they will be forced to carry to their seats themselves. "Premium plus" has full-leg-reclining seats, pillows and blankets, and individual service-call buttons to summon servers who deliver menu items crafted by James Beard-recognized chef Sherry Yard, as well as "handcrafted," "farm-to-glass" cocktails by mixologist and sommelier Adam Seger. 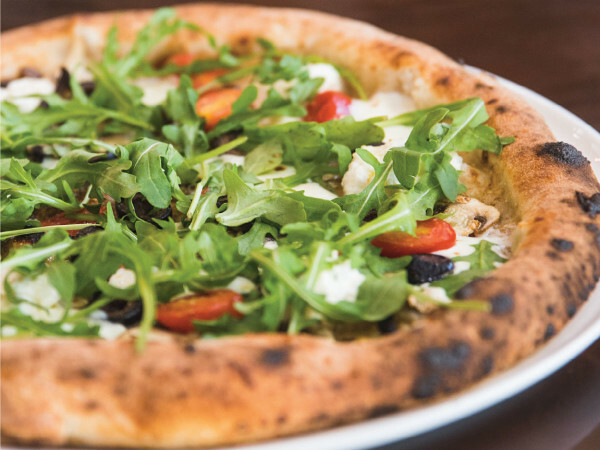 Based in Chicago, Pinstripes is a dining-entertainment concept featuring Italian-American cuisine, bowling and bocce; it has six locations in Illinois, Minnesota, Georgetown, D.C. and Kansas. The Frisco location will be a two-story building with 32,000 square feet, 16 bowling lanes, indoor and outdoor bocce courts, and outdoor patios and fire pits. The first phase of Wade Park, including Whole Foods Market, iPic Theater and Pinstripes, is slated to open in spring 2016.